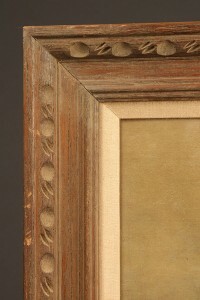 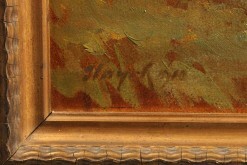 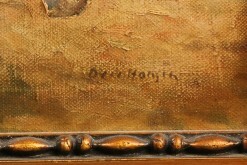 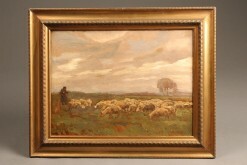 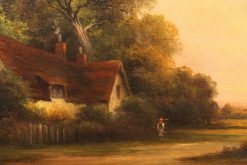 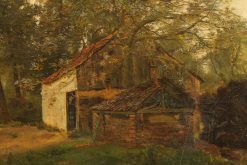 Oil on canvas painting signed Augustus Spencer depicting rural English countryside. 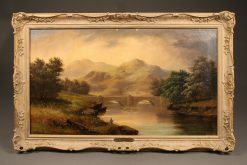 Oil painting of Scottish river scene with angler. 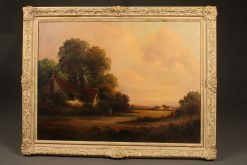 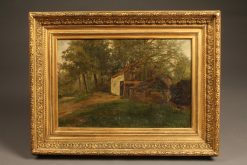 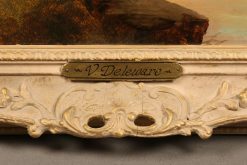 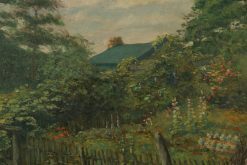 19th century oil on canvas of forest scene. 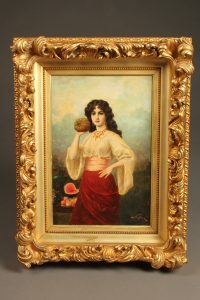 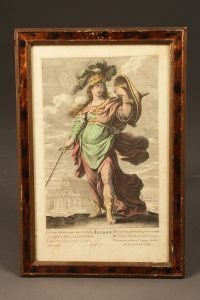 19th century oil on board painting of beautiful gypsy girl. 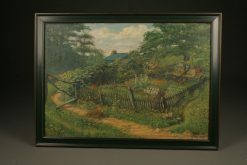 Beautiful Brown County Indiana landscape of a cabin and garden. 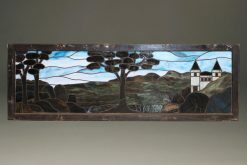 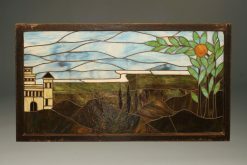 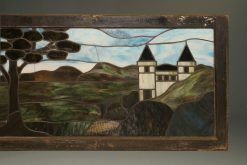 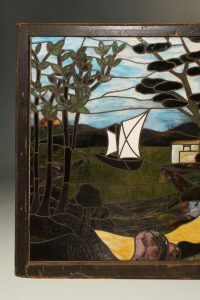 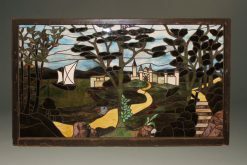 Large stained leaded glass panel depicting a castle, sailboat on a lake and a path trough the trees. 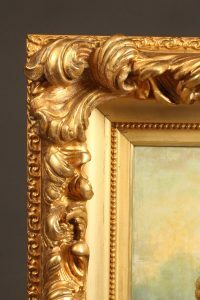 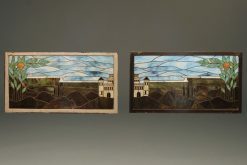 Pair of mirror image stained and leaded glass panels depicting a castle and foliage. 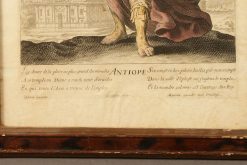 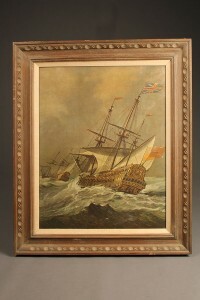 Oil on canvas featuring English ship. 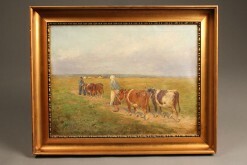 Oil on canvas featuring cows.